Welcome to Party Time Linky #7 where we give you the opportunity to share your creative party ideas with 7 blogs and all their fabulous party-planning readers! Simply click on the blue “Add Your Link” below to share a link to some party posts on your blog that you’re excited to showcase. Readers: These links will be up all week so come back to check them all out! There are always plenty of unique ideas that can be applied to a variety of different party themes. 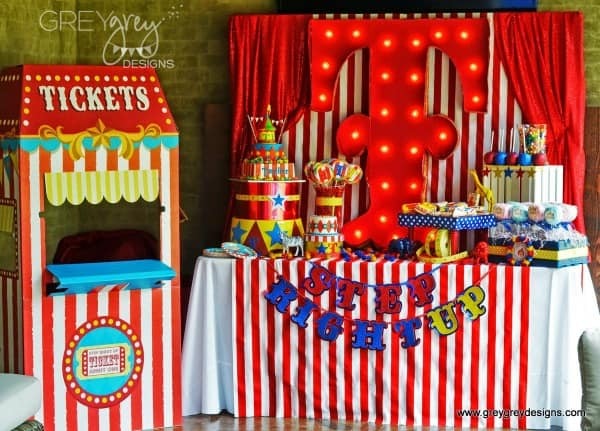 This Circus Party by GreyGrey Designs is absolutely amazing! So many bright colors, special personal touches, glittery candy apples, adorable cookies and so much more. 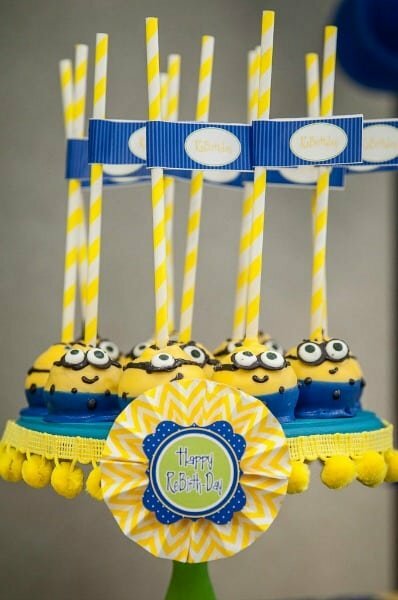 My son would love this Minion Birthday Party featured by Swish Printable Parties. I love that there are so many pieces that parents can recreate at home themselves. Paula of Frog Prince Paperie never misses a single detail in the parties she plans. 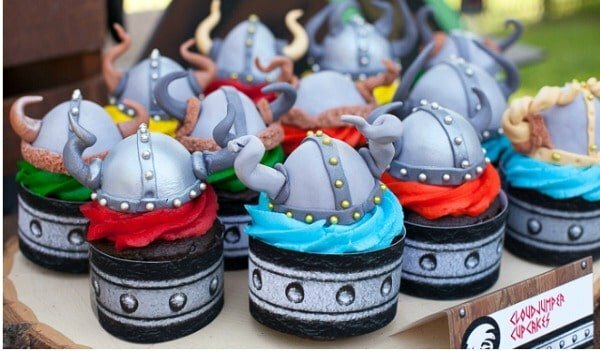 This How To Train Your Dragon Party is filled with so many creative details but my favorite has to be the cupcakes. Super clever! Now it’s your turn – show us your party ideas! This linky party is now closed. Visit our Party Time linky category for the latest party. Love all of the parties! Thanks for including the Minion party! Hello over there Cheryl!!! Thanks for hosting, have a fabulous weekend! What a gorgeous fairy party… love the lights and the little toadstools, sooo cute!